Is Your Music Playlist Male or Female? Are guys simply born loving rap and rock? Do women really gravitate toward dance and teen pop groups like One Direction? Or are these just popular stereotypes? Paul Lamere ponders questions like these a lot. As Director of Developer Platform for The Echo Nest, a music intelligence company in Massachusetts, he often dives into data trends like this on his blog, Music Machinery. This month, he compared the streaming playlists of 200,000 male and female U.S. listeners to find out if there are such things as “gender-specific” music preferences. For instance, if someone found your lost phone or iPod and started playing your music collection, could they easily tell if you’re a guy or a gal? To keep things simple, he zoomed in on the top 40 pop singers and bands preferred by both sexes. As you might expect, singers that ladies enjoy but their male counterparts shun include: Christina Aguilera, Justin Bieber, Ciara, Ke$ha, Avril Lavigne, Jennifer Lopez, Demi Lovato, Nicki Minaj, Shakira, Britney Spears, and, yes, One Direction. While artists preferred solely by dudes include: Avicii, J.Cole, Kid Cudi, Wiz Khalifa, Kendrick Lamar, Bob Marley, T.I., Linkin Park, Queen, and rappers Kanye West and 50 Cent. But then things get crazy: You might think that, after his troubles with Rihanna, Chris Brown would score higher with guys but, in fact, Brown rated No. 11 among women and No. 15 with men. Rihanna is the queen of the ladies’ chart at No. 1, but guys also love her, putting her at No. 8. Katy Perry, Lil Wayne, Lady Gaga, and even Miley Cyrus are also enjoyed by both genders. Guys’ favorite pop performer? Mad rapper Eminem. And while Kanye got no love from the ladies at all, nice guy Bruno Mars landed in the top 5 for both sexes. 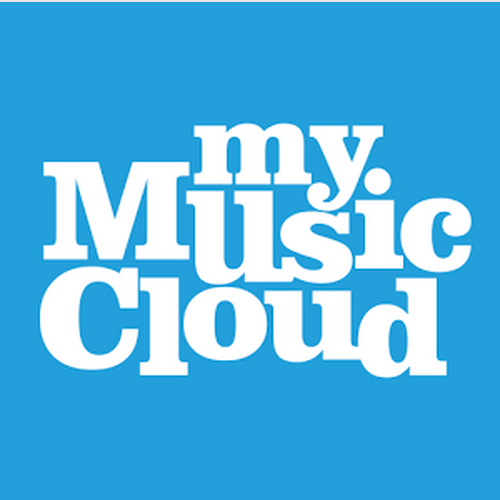 At MyMusicCloud, we don’t judge, we just recommend great new music for you on our Albums page based on whatever your favorites are. So you can enjoy the freedom of listening anywhere on any device, regardless of brand. Author TriPlayPosted on February 21, 2014 November 7, 2014 Categories General, Help & How ToTags chris brown, Eminem, jennifer lopez, justin bieber, katy perry, Lady Gaga, most popular singers, music playlist, music suggestions, queen, rihannaLeave a comment on Is Your Music Playlist Male or Female? Now, that Drake, Katy Perry, Celine Dion and Paul McCartney’s chart-toppers are out of the way, and because you’re busy having a life, we’ve rounded up 10 new November albums for you to keep an ear out for. Included are new music from The Killers, Daughtry, M.I.A., Kelly Pickler and Lady Gaga, plus wild cards like the delicious-sounding new Hunger Games: Catching Fire soundtrack and wacky new tracks from Erasure and Garth Brooks. Eminem – Marshall Mathers 2 LP (out Nov. 5): The mad rhymer’s back with Beastie Boys samples, a Stan sequel and more vicious riffs. Lady Gaga – ARTPOP (Nov. 11): At last, the diva’s incredibly hyped new music is finally here. Kellie Pickler – The Woman I Am (Nov. 12): “Hopeful” and a “breath of fresh air” is how critics are describing the country cutie’s latest music. Lady Antebellum – ‘Golden’ (Deluxe Edition) (Nov. 12): Includes three previously unreleased songs plus three acoustic versions of their hits from the pop country trio. Daughtry – Baptized (Nov. 19): More soulful vocals and rock licks from the “Idol” runner-up. The Hunger Games: Catching Fire Soundtrack (Nov. 19) With tracks by Coldplay, The National, Christina Aguilera, Imagine Dragons and Lorde, we’re already salivating for this soundtrack, which comes out before the film’s Nov. 22 release. Check out the MyMusicCloud store for these albums and more from your favorite artists, and listen to your music anywhere, anytime from our cloud. Author TriPlayPosted on November 30, 2012 November 7, 2014 Categories GeneralTags Beyonce, Lady Gaga, most popular singers, rihanna, Taylor SwiftLeave a comment on Is Rihanna More Popular than Lady Gaga, Carly Rae Jepsen, Beyonce?